If escaping to a tropical paradise is your favored approach to winter, here's a trip that won't cost a mint: a journey into Palm Beach Chic, courtesy of Jennifer Ash Rudick and photographer Jessica Klewicki Glynn. (Vendome Press) From dramatic mansions to haute bohemian whimsies to charmingly perfect cottages, this lush coffee table book will whisk you away to another world. With the clean white snow of this weekend's blizzard already turning to a slushy mess, this could be just the thing to perk up your spirits. Enjoy the escape. 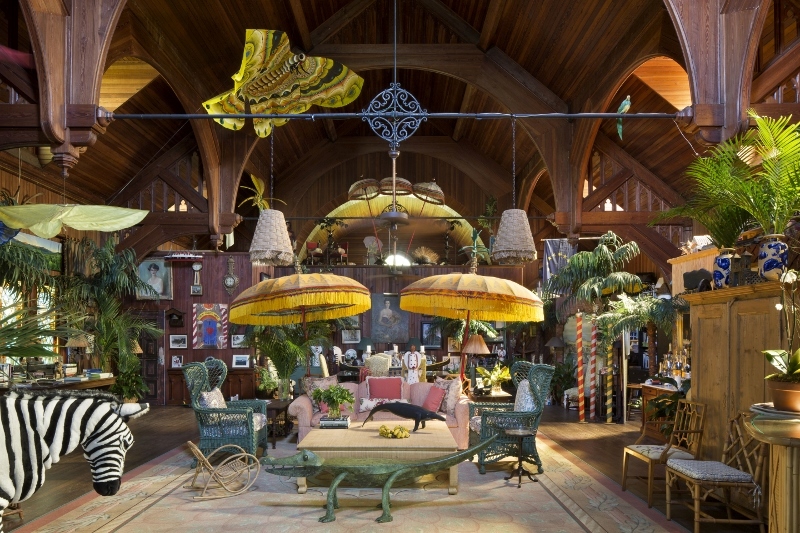 Whimsical & Quirky: Old Bethesda-By-The-Sea, a former church and current home of interior designer, Palm Beach native and mother of Celerie, Mimi Kemble McMakin. Classic Drama: Spectacular Atlantic Ocean views from "Villa Artemis" a Palm Beach Regency Revival Masterpiece designed by F. Burrall Hoffman. Perfect Little Paradise: A Major Alley cottage turned office. Please move me here right now. Continue the fantasy escape: visit Style Maniac's Facebook Page this week for more peeks into legendary Palm Beach homes.